Dr. Jeffrey P. Kanne is a professor of Radiology, Chief of Thoracic Imaging, and Vice Chair of Quality. He specializes in thoracic radiology with special expertise in interstitial and diffuse lung diseases and high-resolution CT of the chest. Additionally, Dr. Kanne is an NIOSH-certified B-reader with expertise in occupational lung diseases. Other professional interests include postgraduate and continuing medical education, utilization management, low-dose CT techniques, and quality improvement in radiology. Dr. Kanne serves on the American Board of Radiology Thoracic Certifying Exam Committee. He is Chair of the American College of Radiology's (ACR) Expert Panel on Thoracic Imaging and chairs the Society of Thoracic Radiology's Education Committee. In addition, he was selected by the ACR as the first ABIM Choosing Wisely Champion. Dr. Kanne has authored or coauthored over 80 articles in radiology in addition to multiple chapters and textbooks on thoracic imaging. He is a regular lecturer on topics in thoracic imaging at national and international meetings. 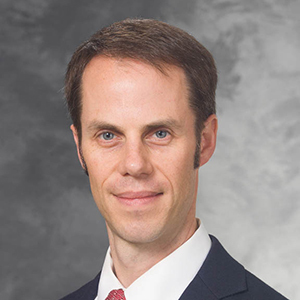 Dr. Kanne is co-director of the ACR's High Resolution CT of the Chest hands-on course and chairs postgraduate courses in thoracic imaging in conjunction with the American College of Chest Physicians and the American Thoracic Society. Dr. Kanne was awarded the Melvin M. Figley Fellowship in Radiology Journalism in 2010. He serves as Deputy Editor of Journal of Thoracic Imaging and regularly reviews manuscripts for Radiology, AJR, Chest, European Radiology, and other scholarly journals. Personal interests include raising his two sons and daughter, yoga, piano, Baroque music, history, British literature, and the outdoors.